Located directly on the Caribbean Sea, this beach villa draws itself nearer to the water with large lift-and-slide doors that cross the entire rear elevation. The front entry and flanking windows provide a welcoming warmth in to the great room and entertaining areas. As one of seven villas on a Caribbean estate, we utilized Loewen’s anodized windows and doors to provide a modern feel in a natural setting. Sweeping vistas and ocean breezes flow through this house’s bi-parting door and window systems. This inspiring home was built in collaboration with architects from Miami along with CFPi personnel. The custom 90-degree lift-and-slide door unit with 6-feet wide by 10-feet tall panels present the owner with seamless transition to the outdoor pool deck. 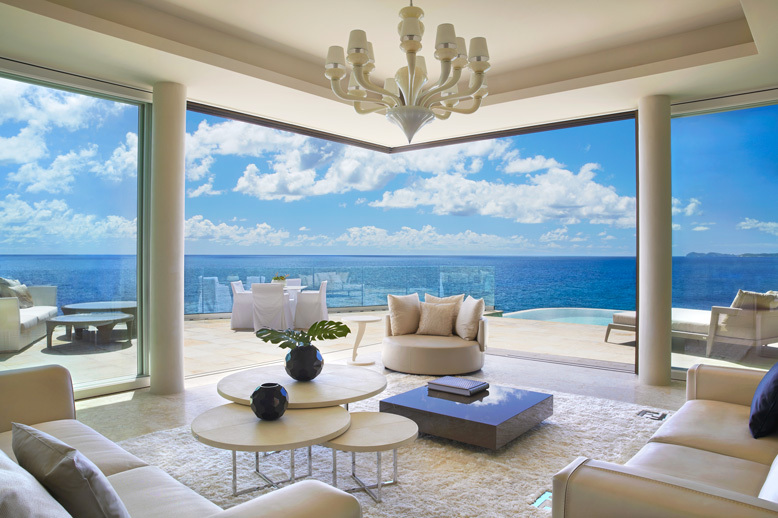 We are proud to say that this home won the Robb Report "Best Vacation Home, 2013".